"It was a riot, an absolute riot." 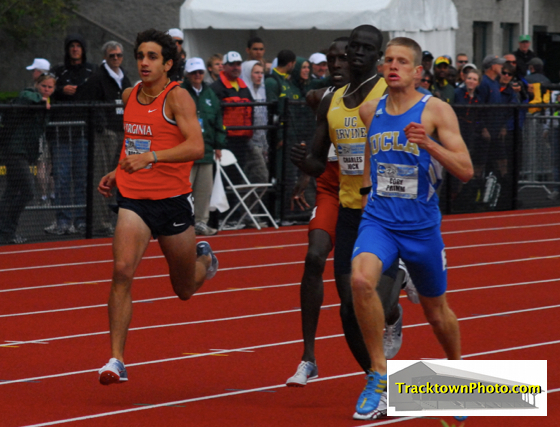 - Andrew Wheating commenting on the last 100m of the 1, 2, 3, Oregon 1,500m sweep on Saturday at NCAAs in Eugene. Andrew Wheating became the first male in over 25 years to win the 1,500/800 double, Texas A&M got their 2nd-straight team double, David McNeill showed again he has a better kick than Sam Chelanga and a record number of fans saw the 2010 NCAA championships in Eugene. 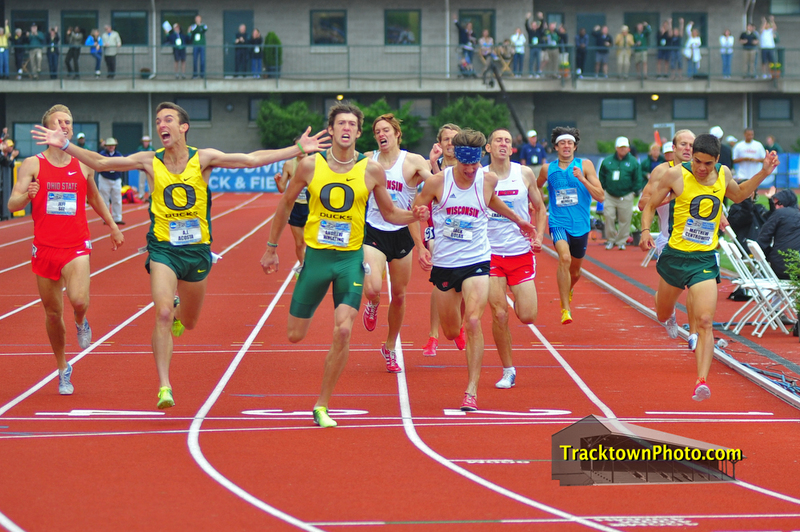 Plus, AJ Nation came up with a ridiculous kick to put the icing on the cake for Oregon's milers and Calvin Smith almost set a world record trying to win the title for the Gators in the 4 x 4. *Boards: Robby Andrews ran a horrible final We love that 1 guy stayed up til 2am in England to watch this race. Andrews told us afterwards that he just didn't have it (which is what it looked like, as he would have been crazy to stay in last place with 200m to go while Wheating was 1 second ahead of him). 8:30am Eastern New York Mini 10k Live online (we hope you've seen the ads everywhere on the site). 1 World 10k Champ (Linet Masai), 1 Boston Champ (Teyba Erkesso), 3 World XC Champs (Emily Chebet, Lornah Kiplagat, Benita Willis), 1 World Marathon Majors Champ (Irina Mikitenko), 1 Werknesh Kidane (30:07 10k) plus pregnant Paula Radcliffe and Kara Goucher. 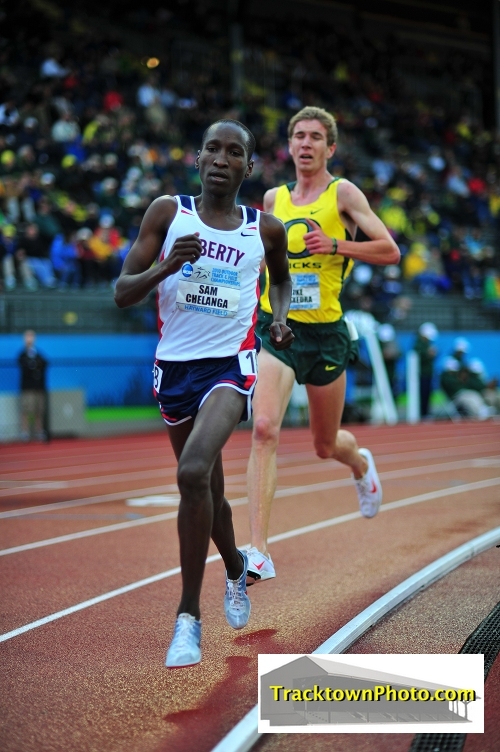 *RRW Preview: Lornah Kiplagat Poised For Comeback At NY Mini-10k Lornah Kiplagat ended up almost 1 minute back in 4th. 1pm-3pm Eastern NCAA Champs Live CBS. 4pm-6pm Eastern adidas Grand Prix Live NBC. *LRC Quick adidas Preview A stellar women's 1,500m among others on tap. Plus England-USA World Cup at 2:30 PM Eastern. Men's 800m Final Stretch - Wheating Gets Monkey Off Back!